You know how on ASOS you can put things in your 'save for later' & they expire after 60 days of being in your 'save for later'? I don't know about you but I have the terrible habit of putting things in my save for later over & over again & never getting around to buying them. Things where I'm interested & would like to try them but really I need a bit of a push. These eye patches/masks or whatever were like that. I knew I didn't NEED them so I kept hovering & hovering, undecided until I opened up my Blog Yorkshire gift bag & found one. Anatomicals is a really funky brand that do skincare (& I think body washes & hair care) quite affordably aimed at teenagers & students mostly. 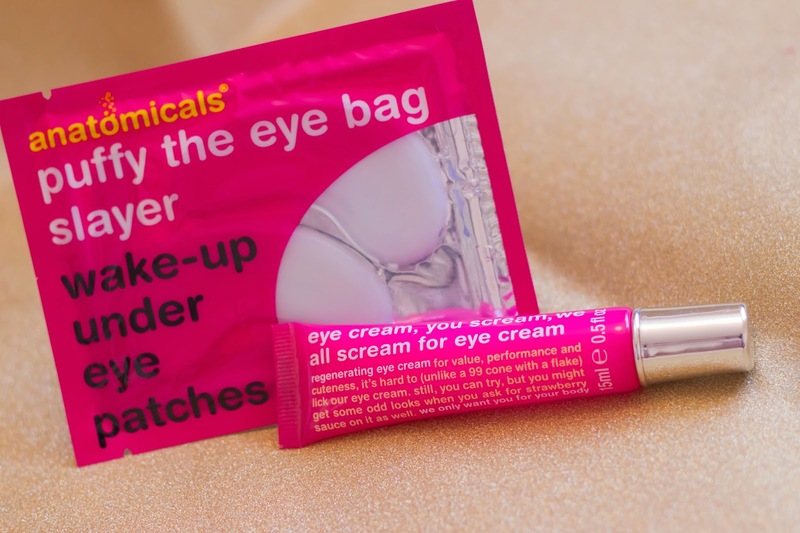 I've been a fan of Anatomicals' 'eye cream, you scream, we all scream for eye cream' for a while. It is VERY affordable (£4.50) & very gentle, even my mum who's eyes hurt wearing eyeshadow agrees this is very gentle. I mostly use it as a mixer to tone down the extreme effects of other eye-creams but even on it's own it is lightly moisturising & very soothing. A lot like the eye patches actually. I'm trying to put off talking about the eye patches & it's silly really. I was so exited about trying these that I really wanted them to work & I'm just not sure they really did anything. 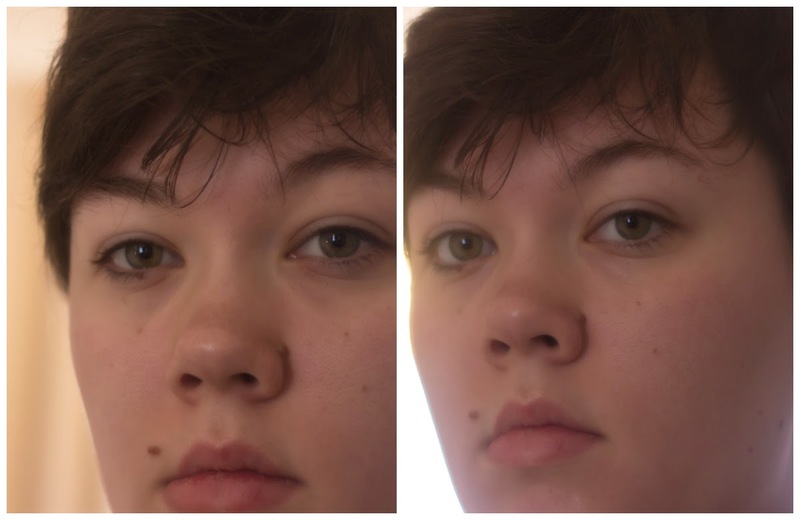 It's probably because of my under-eye & I'm sure they'd work differently on someone else & it wasn't like they weren't soothing but I just.....I really don't think they did anything. Let me explain it properly. 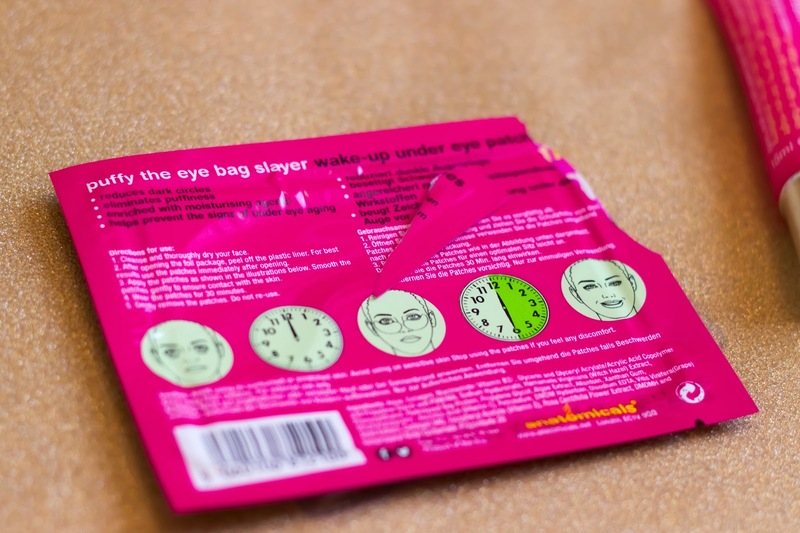 Other than actually waking up enough to open my eyes all the way, I'm not sure I can tell a difference & definitely not a difference worth wearing eye masks for half an hour to achieve. Maybe you can tell a difference but all I know is that it took the same amount of concealer to cover my bags as it usually does. 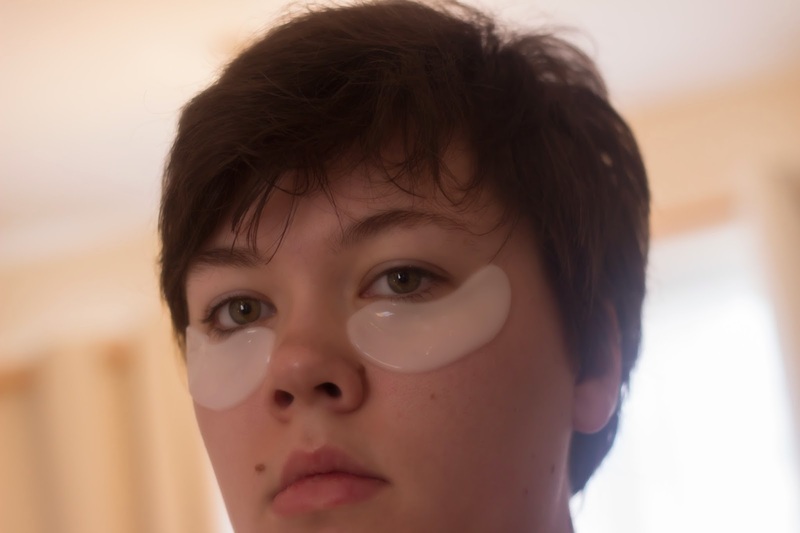 Overall, would I purchase the eye masks? They are inexpensive (£6) so it is possible that I'll try them out again but I'm pretty sure I won't. I just don't know that for me personally they do that much good & them not being re-usable can be really expensive. I've never tried anything like this before, I think they made a slight difference, but yeah, I like the differences I see to be pretty good. Half an hour though! That's long!